Join Rupert and Emma as they traverse the ruins of ancient Egypt. 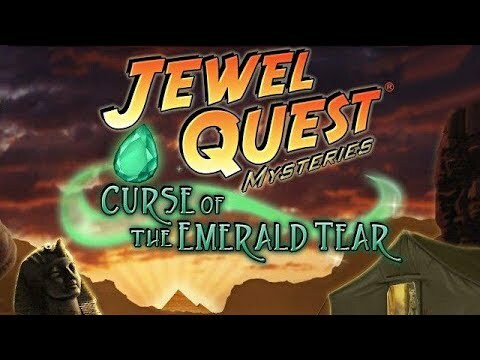 "I am a Jewel Quest addict and this game takes it to another level by adding the Hidden Object element. It is super fun and challenging and definitely addictive. I love the graphics too." Join Rupert and Emma as they traverse the ruins of ancient Egypt, where mystery reigns and only a keen eye can help you. Seek out treasures and jewels, hidden within stunning gardens and relic-laden palaces. Swap jewels to turn tiles gold in classic Jewel Quest boards, and decipher puzzles of logic and wit. Enjoy this hidden object game shrouded in the lore of Jewel Quest and the mystique of ancient Egypt. I have the entire Jewel Quest series and love to play them all. This quest is great as you get both hidden object and match 3 genres in one. Highly addictive just like all the other Jewel Quest games. Very entertaining, you must try it! I loved this game so much that I purchased it and did not even wait for a coupon. I played it so much that I already completed the whole game.